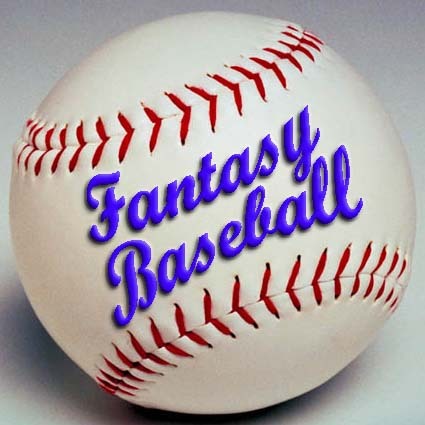 While day-to-day management of your fantasy baseball team is important, most great fantasy baseball players will tell you that leagues are really won and lost in the draft. Here are a few simple draft strategies that will makes sure you pick the kind of fantasy baseball team that will have you competing for the title. By position scarcity we mean positions which are short of good players. There will be years in which there aren’t really enough roster-able players at certain positions to fill a 12 team league. Going into the draft you have to figure out which positions these are and then make sure to draft players who qualify at them early or risk being stuck starting a substandard fantasy player every day. If the other participants in the league aren’t being conscious of position scarcity in your draft don’t be afraid to double up on a scarce position. Taking a second third baseman in the eighth round of the draft in a year third base is in short supply is often a better idea than taking a second outfielder or an initial first basemen. When the draft is over you have either a great trade chip that should be able to pull in more than eighth round value or you have a player for the utility spot and hedge against injury at a position that replacing an injured player through the free agent pool would be almost impossible. A player who qualifies at more than one position is always an asset in fantasy baseball. This is especially true if they are able to play multiple infield positions or qualify for catcher but actually play another position. (And thus play everyday.) But don’t underestimate having a player who can qualify for both first base and the outfield. Yes, it’s not usually that difficult to find players at those position if your starters are injured or ineffective. But by having an outfielder that can switch to first base or vice versa when you are forced to find an outfielder or first baseman that flexibility will essentially double your waiver wire candidates. Depending on how many dedicated pitching slots your league allows it may also be beneficial to draft pitchers who qualify as both starters and relief pitchers. In a standard five category league a steal is worth the same as a home run. But, really, it’s not. That’s because when a player hits a dinger he gets credited with a homerun, at least one RBI, a run and it helps the batting average. Four of the five categories in one swing. The bottom line is you should to stack your fantasy lineup with players who hit home runs and wasting entire space on a steal specialist with little power isn’t a very good idea. So instead try to target the sluggers who also may be good for 20 plus steals in the first couple rounds. 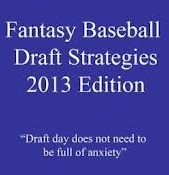 Then throughout the entire draft be mindful of the kind of sluggers who have sneaky baserunners skills and will get you between 10 and 15 swipes. (A Jayson Werth or Paul Goldschmidt type.) That strategy will allow you to finish near the top of your league in steals without sacrificing any of the other categories. There are only 30 closers at any given time. And the 30 closers at the end of the year are going to be a pretty different group than the 30 closers when you drafted. While some fantasy experts say that you shouldn’t pay for saves during a draft we don’t quite take that point of view. If a closer has an established history of being his teams’ ninth inning guy, regularly puts up great numbers in ERA and WHIP, and averages more than a strikeout an inning we have no problem with drafting him highly. In fact, since there are usually only five to eight of such ninth inning specialists coming into a season we recommend snagging at least one of them. But other than that, don’t pay for saves. And make sure to stay on top of the closer carousel during the season. Sabermetrics aren’t just for stat geeks anymore, and if you are not using this new math in your draft strategy you’re probably going to finish in the second division. 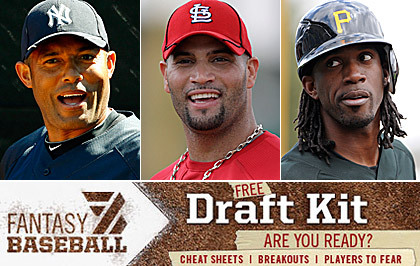 Learn more about how to apply sabermetrics to your draft here.